Blue Safety Top Laser Checks" product is already in your cart. We are proud to feature 100% compatible Quicken checks. 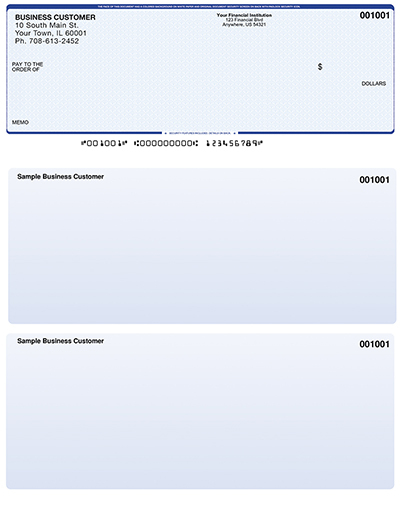 These checks meet all Intuit, Quicken, ABA, and Federal Reserve Standards. These checks are available in over 20 colors, offer free logos, and fit in a double window envelope. Our checks are compatible with all versions of Quicken software including Quicken Deluxe, Quicken Premier, Quicken Home & Business, Quicken Rental Property Manager, Quicken Essentials for Mac, Quicken Starter Edition, Quicken Checkbook, and all previous Quicken software.